If you’re on a path of self-development. you may be witnessing the state of the world today and wondering how this is possible. How, with all that is known about human development and potential, is the world still in such a deep state of turmoil and conflict? How is it possible that we’re capable of exploring our solar system, inventing the internet, and decoding our DNA, but we can’t solve our more fundamental global problems—like hunger, poverty, and armed conflict? There are obviously deeper issues that prevent us from solving the wide array of problems we all face. If you’re familiar with Ken’s work, you may already know some of the evolutionary dynamics that are influencing these issues. The truth is, whether we are aware of these subtle evolutionary forces or not, they shape our world-views and our societies. They influence every action we take. They shape our individual lives and our communities. The discovery of these evolutionary dynamics is one of the most important insights into human nature in modern history and has profound implications for our future if we can learn to how to harness these forces to accelerate our development and affect greater change in our world. Throughout history, humans have discovered new possibilities and technologies through focused inquiry into the principles of nature. For example, the discovery of optics led to the the creation of microscopes and telescopes. This opened up breakthroughs in medicine and a deeper understanding of our universe. The discovery of electricity gave us light and technology. This made the modern world and digital revolution possible. Each time we discover more about the deeper structures of our reality, we unlock greater capacities to generate change, in ourselves and in the world around us. Just consider, as one example of the power of understanding natural forces, the discovery of the trade winds. These are the winds that blow in consistent patterns over the surface of our planet. When pioneering mariners first discovered these winds, they revolutionized life on Earth and began what historians call, “The Age of Sail.” This was the dawn of international trade and travel. The world’s great civilizations began to encounter one another in both conflict and cooperation. It revealed new territories, new opportunities, and new risks. And it fundamentally changed the fate of life on earth. For better or worse, individual lives, regional economies, and even entire nations were irreversible transformed. And the advantage was in the hands of those who truly understood the Tradewinds. Once a mystery, the ocean winds, became an ally to those who learned to work with them. Once discovered and mastered, they can allow you to reshape your path and your destiny, and contribute to the transformation of life on earth. Robert Kegan, professor of Adult Learning and Professional Development at Harvard Graduate School is a pioneering researcher on the forefront of this discovery. He first presented the idea of self evolution in his 1982 book, The Evolving Self. According to Kegan, self evolution means to take responsibility for your internal authority. To establish your own values and ideologies, independent of those you’ve been handed by culture and by society as a whole. In Kegan’s work at Harvard, his research revealed the specific stages or “orders” of conscious we all grow through, and they are truly fascinating. Order Zero is the order you are born into. This is when you live in an “objectless world.” Everything is taken in with your senses and perceived as an extension of yourself. The only things that exist to you, are what you are seeing and experiencing in the moment. Order One is called “Meaning Making” and occurs around age two. This is where you begin to realize you can control your own reflexes. You can recognize that there are things that exist outside yourself, even when you can’t see them. And while you start to make meaning of your experiences, your thoughts and feelings tend to be illogical and impulsive. You become attached to whatever or whoever is present in your environment at any given time. Order Two is “The Instrumental Mind,” and is where you begin to think and behave in more logical and organized ways. You begin creating internal classifications of ideas, objects, and people Your feelings are capable of lasting beyond the moment, and you rely more on rules, boundaries, and directions You also begin to have greater clarity about who you are and what you want, as well as developing skills for competition and compromise. .Order Three marks the arrival of “The Socialized Mind.” This is where you become capable of more complex and abstract thoughts and feelings. You’re able to make and keep commitments to people, communities and ideas. You now look to others to provide you with validation, love, direction and encouragement. You are also capable of providing those same experiences for others. According to Kegan, most adults will not develop beyond this stage. Order Four, “The Self-Authoring Mind” is a stage that very few people in this generation will evolve into because it requires a “quantum leap” to a new level of autonomy and awareness beyond the comfort and safety of society and community. Understanding evolutionary dynamics is the key to opening up that world. “The Self-Transforming Mind” is the pinnacle of human development and is yet another “leap” to a new level of awareness and possibility. Your capacity for connection becomes so deep that the lines between you and others and the universe itself begin to dissolve. You see beyond ideas of self and systems entirely and experience the flow of evolution through your being, allowing you to transform yourself in accordance with your will. According to Kegan, even few people reach this stage in their life time. 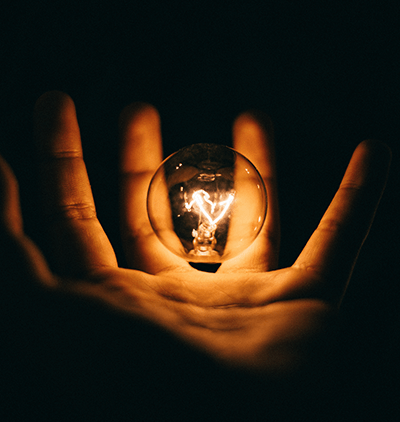 Robert Kegan’s research suggests that those who are able to grow through self-authorship and into self transformation will be able to shape not only themselves, but humanity’s future. This evolutionary development first requires you to tap into your own capacities to craft your own authentic narrative and rewrite your own life story. Once this capacity is integrated, and you understand how the process of development really works, you can then consciously take the reins of your own evolution to guide it in the direction of your highest potentials. And this is why a deep understanding of Evolutionary Dynamics is so profound. Just as an author might use an understanding of language to shape a novel, you will use your understanding of evolution to shape your life. And, Kegan’s research is just the tip of the iceberg… Hundreds of developmental researchers from around the world have confirmed and expanded upon his conclusions. 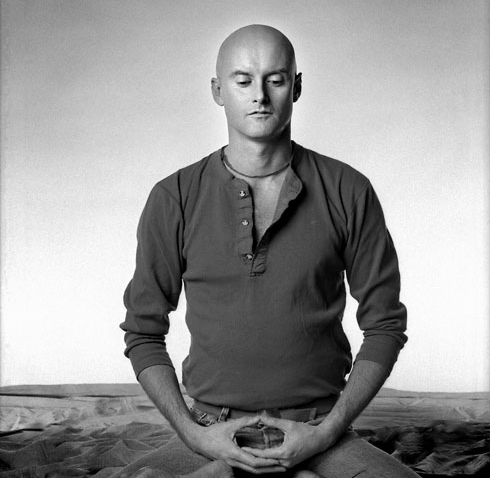 One of those researchers is Ken Wilber. He’s spent the last 30 years compiling and organizing the vast amount of evidence, scattered across near every major discipline related to human growth and development. From this deep study and inquiry he devised a cohesive framework that integrates all major research about human growth and development into a unified system. This system has come to be known as Integral Theory (AQAL). And, while many people have a general understanding of the framework, very few people have full integrated and mastered it. So Ken and his team have pulled together his life’s work in this definitive advanced training designed to help you cultivate mastery of this developmental framework to accelerate your self-transformation and make a greater impact in the world. 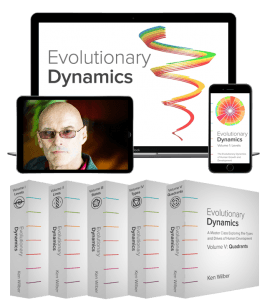 Evolutionary Dynamics is the most comprehensive, in-depth study of Ken Wilber’s Integral Theory ever created. This five-volume advanced program guides you, step-by-step, through each of the lenses of the Integral Framework, giving you an incredible opportunity to gain a Masters-level understanding of the evolutionary dynamics that shape your life and our whole reality. Once you fully understand and have deeply integrated the interplay of these dynamics in your day-to-day experience, you will no longer be at the whim and will of those forces and can instead channel them to create lasting impact in every area of your own life and in our world. Over the 18 months of the program, you will discover how to truly see those dynamics at work in every moment of your own life and in the lives of family, friends and colleagues, enabling you to more quickly adapt to new situations, learn new skills, and leverage new opportunities when they arise. The program will provide you with everything you’ll need to cultivate and actualize your highest potentials and help others around you do the same. With this expanded awareness, that you can to call upon for the rest of your life, a whole new vistas of possibility will open up for you and you will have the capacity to truly become the architect of your own self-transformation. Once you fully understand and have deeply mastered the interplay of evolutionary dynamics within yourself, you’ll develop the capacity to channel that energy as fuel for your transformation. You’ll illuminate your core strengths and unique gifts while learning how to best leverage them. You’ll uncover your developmental weaknesses and shadow pathologies while learning how to work with and correct them. You’ll cultivate the ability to perceive yourself through multiple lenses thereby gaining deeper insight into who you really are and all that you are capable of being. In your work and in your private life, you’ll be able to see evolutionary dynamics at play in everyone you meet, allowing you to understand and communicate with them much more effectively. You’ll develop the capacity to see the world through the eyes of others and be able to authentically relate and empathize with them at a much deeper level. You’ll understand their core values and motivations, even if they don’t themselves. You’ll dramatically improve your ability to create connection, resolve conflict and support others in cultivating their higher potentials. 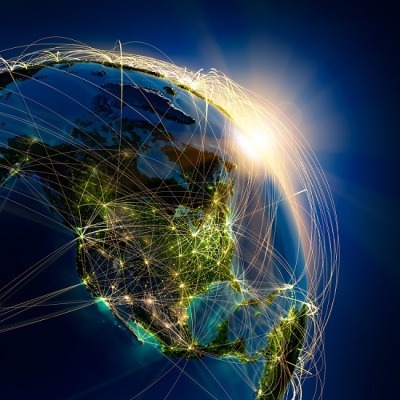 You’ll develop the capacity to understand the evolutionary dynamics at play in both local and world events. The subtle influences behind regional and national conflicts will become crystal clear and the cultural dramas on the world stage will begin to make perfect sense. You’ll also discover how to best leverage your time and energy to create real impact in the causes that are most important to you. You’ll not only be able to see evolutionary dynamics at work everywhere in the world around you, you’ll be able to see how those dynamics have shaped your life and everyone else’s, as well as the whole history of our species. And because you’ll be able to see those dynamics so clearly, you’ll often be able to effectively predict the future and seemingly read people’s minds, as you’ll be able to see exactly where they are in the evolutionary current. You can then use your understanding of those dynamics to connect with them at their level of development and create lasting impact in their lives and in the world. As you attain greater mastery of evolutionary dynamics, you’ll gain the ultimate advantage in “self-authoring” your life and contributing to the creation of a more conscious and sustainable world. You’ll deeply understand the process of developmental evolution and its trajectory towards greater integration and wholeness. You’ll discover how to harness these evolutionary forces to empower your own development and self-author your life. You’ll gain a deeper insight into the underlying unity that pervades existence and the limitless potential that is latent within us all. 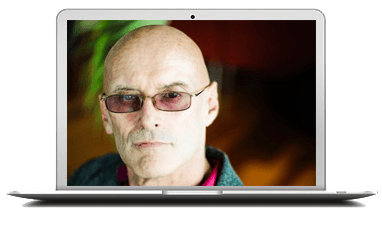 Ken Wilber is one of the pioneers of the movement to gain a deeper understanding of human consciousness and has been on the leading edge of research into the emerging new stage of human development for more than four decades. Since the publication of his first groundbreaking book on human potential when he was only 23, Ken has deepened the conversation with each of his 26 successive books, and seen his work translated into 30 languages. He’s been called “The Einstein of consciousness,” “One of the smartest humans alive,” and “One of the greatest thinkers in history,” and he is internationally respected as one of the preeminent teachers and scholars in his field. "A great beacon of light is shining and calling us all toward our own higher and deeper nature...."
"Your ideas have transformed my life and therefore I can say it has transformed Whole Foods Markets..."
In Ken’s Evolutionary Dynamics Advanced Training Program, you will discover how to skillfully navigate the subtle currents of evolution, allowing you to then begin to work with them to truly “self transform” your life to affect real change in the domains that are most important to you. In the Evolutionary Dynamics Master Course on Levels, you’ll dive deep into the 8 stages that are the substratum of all individual and cultural development, Archaic, Magic, Magic/Mythic, Mythic, Rational, Pluralistic, Integral, and Super Integral. Under Ken’s mentorship, you’ll be guided, step-by-step through the remarkable terrain of each emergent level of human evolution and how they play out in your daily life. In the process you’ll discover how these levels subtly operate within your awareness and how they profoundly influence the thoughts, beliefs and actions of all people and communities on our planet. Ken will then show you how to use your knowledge of those levels to help you on your journey to Self-Authorship. Harness the latent capacities of each level and the evolutionary challenges you must face to attain them. Illuminate the hidden pathologies inherent in each level and learn the tools you need to restore them to balance. In the Evolutionary Dynamics Master Course on Lines, you’ll take what you learned in Volume One and use it to explore the 7 key lines of human development in exacting detail: Cognitive, Intrapersonal, Emotional/Irrational, Somatic, Moral, Spiritual, and Willpower. With Ken as your guide, you’ll discover exactly how each of line of development behaves at each level, and how to be aware of their subtle and not so subtle effects on your behavior and experiences. When you truly understand these forces, you will be able to make a dramatic shift in your moment-to-moment engagement with your life and the world around you. Illuminate the skills and wisdom each line gives you access to. Identify the lines where you are strong and learn how to leverage your strengths in any situation. Identify your weaknesses and discover ways strengthen them or work around them. Discover how to use the lines to identify new potentials you can aspire to and access to achieve your goals. The Evolutionary Dynamics Master Course on States is the next step on your journey to self authorship as you take a deep dive with Ken into the 5 states of consciousness: Gross (Waking), Subtle (Dreaming), Causal (Deep Dreamless Sleep), Witness, and Non Dual. Ken will give you a profound and eye-opening tour of each state and show you how each one can be effectively used to accomplish specific goals. Ken will then show you how to use your profound new clarity to further step toward self-authorship in every area of your life. Experience a revolutionary new insight into what you are capable of accessing within your own interior. Learn practices that will increase your effectiveness in every state. Develop a whole new understanding of the world’s faith traditions. Identify new growth possibilities that will enhance your life. In the Evolutionary Dynamics Master Course on Types, you will expand on everything you’ve explored so far. With Ken beside you every step of the way, you will embark on a deep exploration of the 4 core types or drives that affect individual expression of evolutionary dynamics: Eros, the upward drive toward transformation), Agape (the downward drive toward embracing love), Agency (horizontal individuation), and Communion (vertical individuation). Ken will dig deep into the intricacies of what these drives are and how they shape our lives and our cultures. Discover the deeper reasons behind our natural behavioral tendencies toward one or another. Learn practices you can engage to integrate healthy expressions of all 4 types/drives into your life. Uncover the potential allergies and pathologies that occur with each type and learn how to avoid them. Understand how your gender influences your evolutionary path. 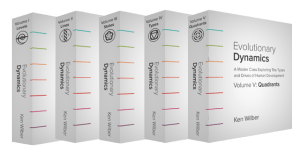 The Evolutionary Dynamics Master Course on Quadrants is the most profound and game-changing volume of the entire Evolutionary Dynamics Library. It pulls together everything you’ve learned in the first four volumes and plots the elements within the 4 dimensions or quadrants of reality. With Ken you’ll explore the interconnected relationship of each level, line, state, and type within each of the quadrants. This is culmination of your Journey of Self-Authorship where you’ll bring together all of the tools in one Masters toolkit you can use to shape and reshape your life, again and again. Discover how to access tools that will allow you to diagnose your health, the health of others, and even of organizations within each dimension. Identify which dimensions are most foreign and uncomfortable for you. Leverage your strengths in one domain to help your weaknesses in another. Discover how you can best affect change in each quadrant. During Ken’s introductory training, his guest faculty included luminaries such as Tony Robbins, Marianne Williamson, Tami Simon, Robert Masters, Seane Corn, David Wolf, and many others who generously offered to facilitate additional trainings to accompany the course. For the Evolutionary Dynamics advanced training, Ken will be collaborating with many new thought leaders and teachers to facilitate complimentary sessions that will show you how to apply the Integral Framework in the real world. Additionally, when you enroll in the Evolutionary Dynamics training, you’ll have the opportunity to suggest specific facilitators and thought leaders you would like us to reach out to for Ken to interview or to lead additional trainings. These sessions will be custom-designed to provide real-world examples of how to apply the integral framework in a wide variety contexts. 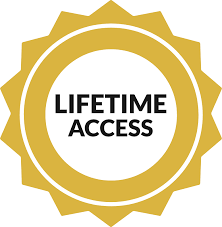 When you enroll in the 5-Volume Evolutionary Dynamics advanced training, you’ll receive an Unlimited Lifetime Membership to the program. This includes the online learning platform, course materials, and all future updates to the course. We will be continually evolving this training based on student participation and feedback so you can rest assured that you’ll have unrestricted access to the training as it develops, anytime you like, for the rest of your life. These exclusive teachings for the Evolutionary Dynamics training are culmination of 6 months of preparation and over a month of live recording with Ken at his loft in Denver Colorado. In these rare recordings, Ken distills the core essence of his life’s work in the most comprehensive teachings on Integral Theory he’s ever recorded. In these powerful sessions he not only teaches “Integral Theory” but an in depth approach to “Integral Practice” and how to best utilize his powerful framework in your relationships, your work and your daily life. 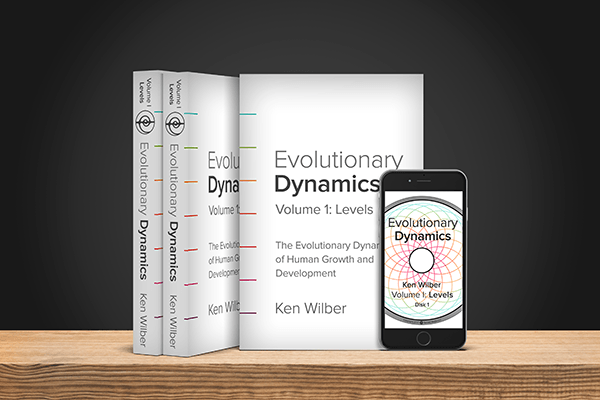 In order to better communicate the concepts presented in Evolutionary Dynamics, we have taken the core audio from Ken’s 5-volume advanced training and have created a complimentary visual presentation to enhance learning and memorization. In addition to the motion graphics video, the course audio has been re-recorded with a professional narrator to further enhance the presentation and increase your listening pleasure. 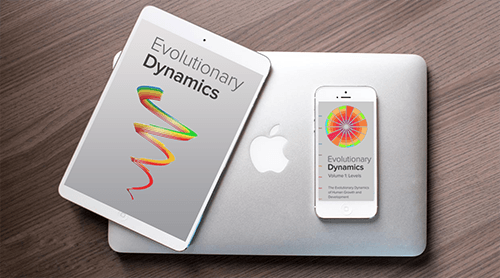 Each volume of Evolutionary Dynamics comes with 3 unique books, in either digital and physical format, to instruct you on the subtleties of the evolutionary dynamic framework. The first book contains edited transcripts of the core teachings and practices. The second book contains over 30 hours of edited Question & Answer sessions that further elucidate on the nuance of framework. Both of these unique texts are important preparatory materials for the third copy in the series, a 5-part workbook designed to help you integrate the core lessons into your moment-to-moment awareness. 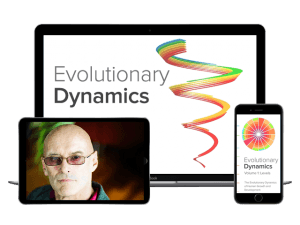 When the Evolutionary Dynamics Program starts, you’ll gain access to our proprietary online learning platform where you’ll have all of the audio, video and learning resources at your fingertips. 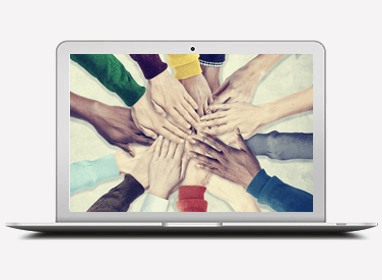 In addition, you’ll also receive access to the powerful course bonuses and online community features. Our platform has been custom-designed to work seamlessly on desktop and mobile devices so that you can access and download the Evolutionary Dynamics Training volumes anywhere and anytime. As you progress through the Evolutionary Dynamics Advanced Training, you’ll have the opportunity to engage with others in our diverse global community. We will be facilitating group discussions in both online forums and on live interactive calls to discuss how to apply the evolutionary dynamics framework to real-world challenges. This is a remarkable opportunity to connect with and support other conscious people of like mind and heart through this empowering journey of transformation. Throughout the Evolutionary Dynamics Program, Ken masterfully weaves in his unique transformative practices and guided meditations to clearly demonstrate how you can integrate these profound teachings into your waking reality. In addition, you’ll receive PDF self-diagnostic practices for each volume of the training to help you assess where you are in your current development and to customize your daily practice to cultivate your unique gifts and potentials. 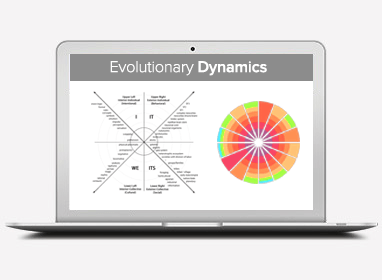 After each volume of the Evolutionary Dynamics Training you’ll receive insightful integration questions designed to help you review and retain the core teachings of the Integral framework. 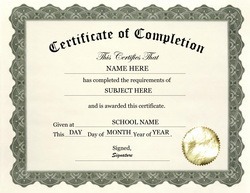 You’ll also be challenged with quizzes at key points in your training to test your understanding, unlock additional bonus content, and receive your certificate of completion. One of the most challenging things about living at the leading edge is feeling like no one understands you. If you find yourself saying “yes, and…” a lot, it’s a good indication that you’re holding awareness’ that those around you may not be able to see. While these perspectives can be liberating in our own worldview, we need a place to grow, stretch and exercise them with other people who are seeing the world in the same way, or with the same level of complexity that we are. At this stage in your growth, community becomes so important and without community your evolution can really slow down. Part of the Evolutionary Dynamics program that we are so excited about is a mastermind. Masterminding is getting together with a group of like-minded and growth-focused people who are committed to supporting each other in the exploration and growth of a topic that is meaningful to you. We have mastermind groups focusing on politics, spirituality, permaculture, and psychology to name a few. If you’re already considering being a part of the Evolutionary Dynamics family, you feel the same way we do – namely, that Integral Theory is one of the most valuable ways to wake up, grow up and show up in your life. This mastermind is one of the best places to use the Integral frame to look in all the little nooks and crannies of the mind and heart that don’t get noticed when you are just studying the material on your own. We’re excited to offer this to you and can’t wait to connect more deeply. Throughout human history, the world’s greatest philosophers have gathered students around them to study the nature of life and the mysteries of our universe, and those communities have played a significant role in the evolution of human civilization. We invite you to join such a community, as we explore and practice this deeply transformative work. If you’re inspired to harness the evolutionary forces that are govern your growth and potential, to transform yourself and our world, we’d love to have you join us. Prefer smaller monthly Payments? Select a multi-pay option below. 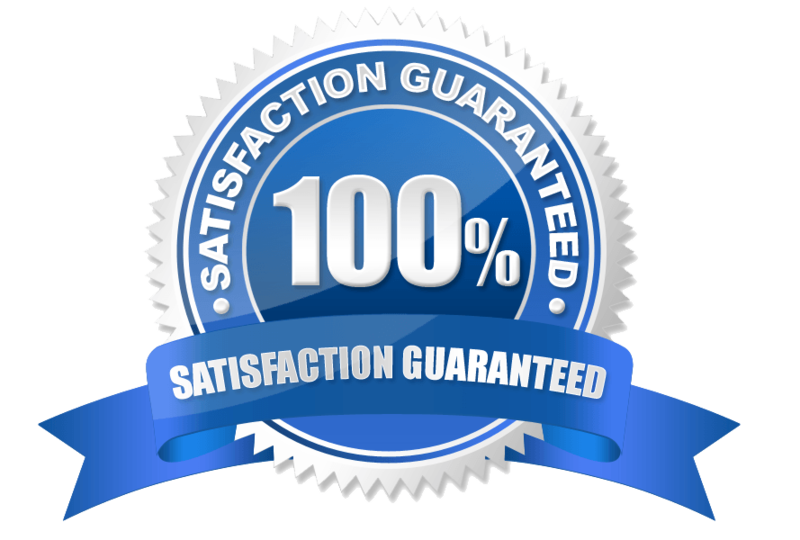 If for any reason you don’t absolutely love the Evolutionary Dynamics Advanced Training—its quality, its contents, the results it produces, or anything at all—simply email us within 30 days of the course start date and we’ll promptly issue you a full refund.